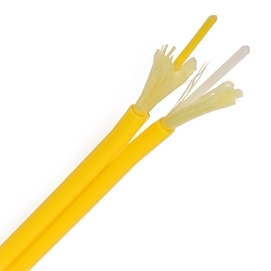 FlyingFiber’s duplex patchcord cable use 900μm tight buffer fiber as optical communication medium. 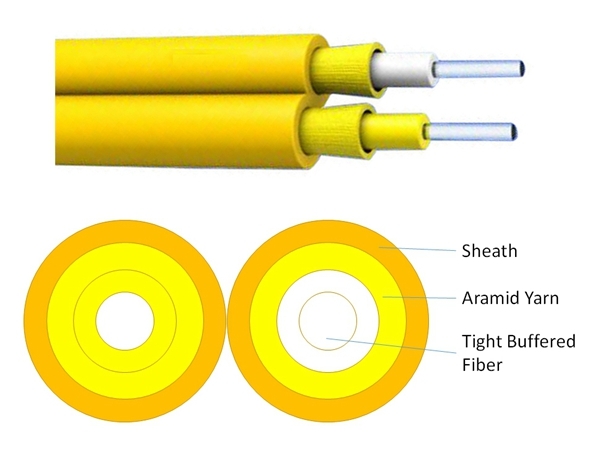 The tight buffer fiber wrapped, and aramid yarn as strength member units, then the cable is completed with a layer of PVC / LSZH / OFNR jacket as out sheath. 1). Hight strength kevlar yarn member. 2). High quality tight buffered or loose tube. 3). Soft and easy to strip. 1). Adopted to indoor distribution. 2). As pigtail of communication equipment. 3). Suitable for communication equipment served. 4). Can be installed conveniently.